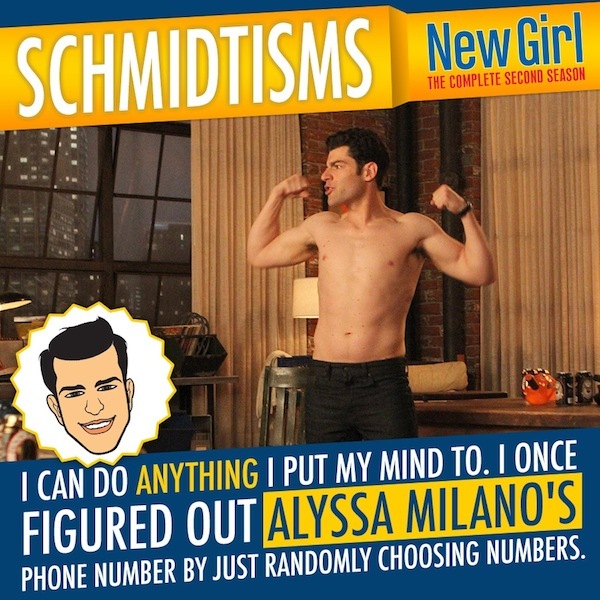 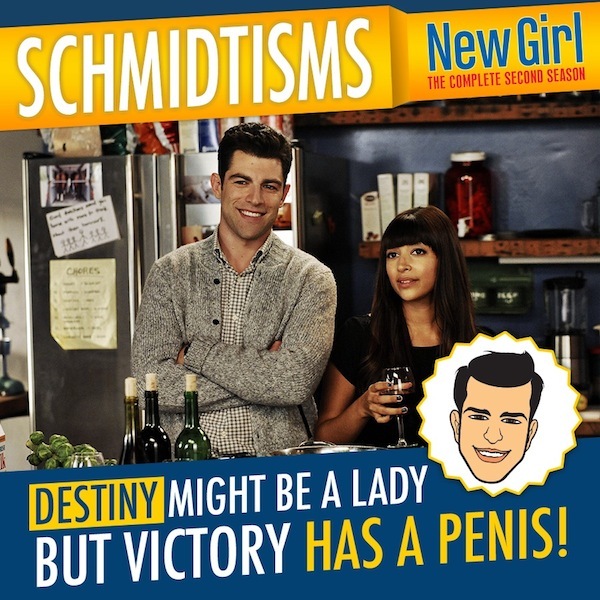 Schmidtisms are a crucial part of the humor in New Girl! 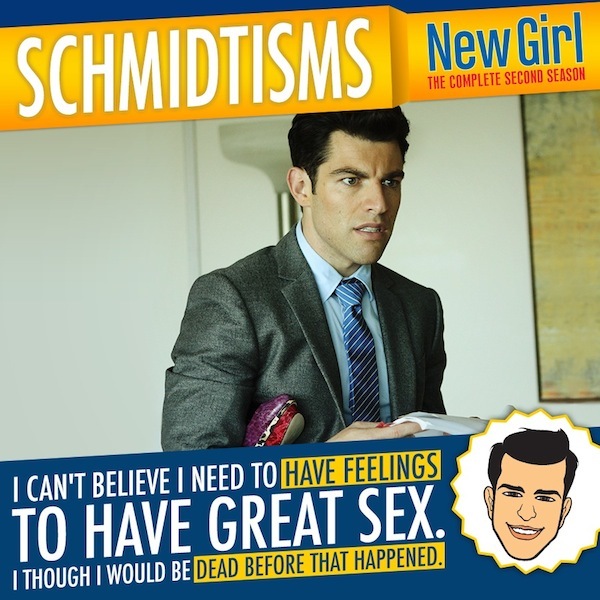 See below for some good ones! 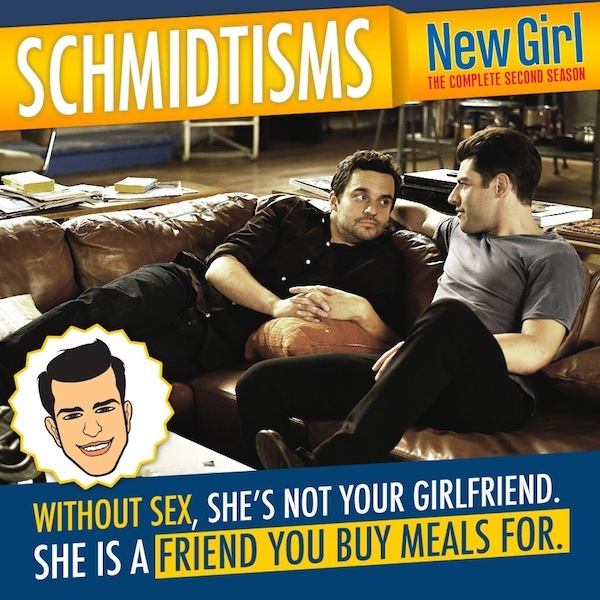 The romantic tension between Jess (Emmy Nominee Zooey Deschanel) and Nick (Jake Johnson) escalates in the hilarious, quirky second season of New Girl - but will they ever hook up? 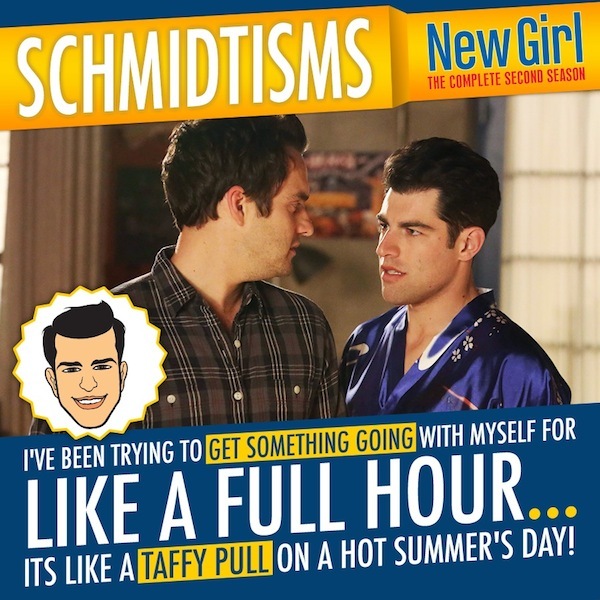 Meanwhile, Schmidt fails to be hip, Winston isn't "prepared" for a hot date, and Nick faces a death in his dysfunctional family. 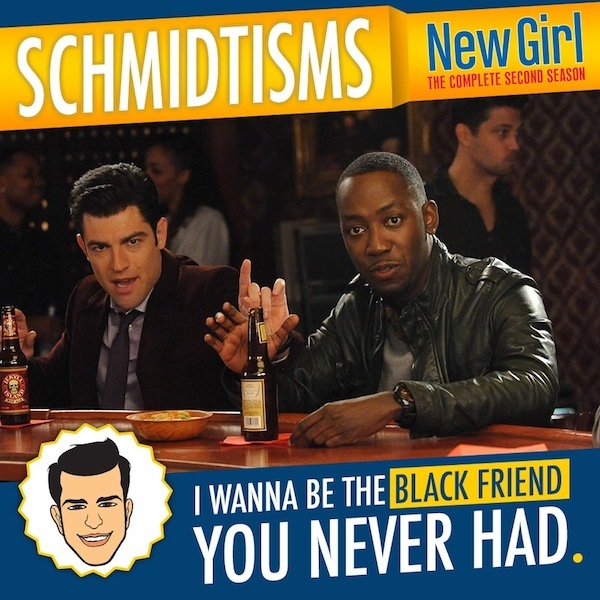 While Jess does her best to replace Cece on a modeling job and a drunk Elvis impersonator at a funeral, Schmidt and Winston hope to rearrange Cece's arranged marriage. 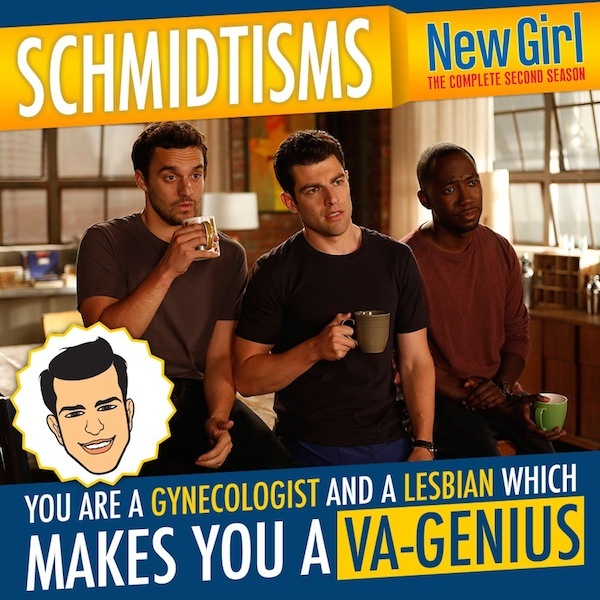 Relive all 25 outrageous episodes featuring guest stars like Jamie Lee Curtis, Rob Reiner and Dennis Farina, and enjoy fun bonus material - including the extended version of the hugely popular Virgins episode - only available on the DVD.